Johnson’s Landscaping Service traces its origins to the Johnson’s Flower and Garden Centers of Washington, D.C. and suburban Maryland, first founded in 1933 by Raymond Johnson, Sr.
Raymond Johnson’s youngest son, Jim, opened Johnson’s Landscaping Service in 1960. Since that time, Johnson’s Landscaping has provided quality service to the communities of Northwest D.C., Bethesda, Chevy Chase, Kensington, Silver Spring, Rockville, Potomac, and Olney. As a testament to our many years of success, the majority of our business comes from client referrals and past customers. 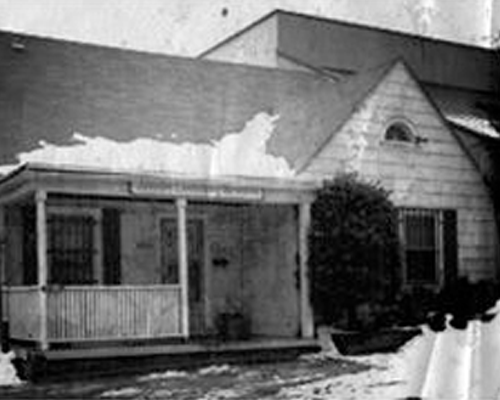 Johnson’s Landscaping Service, Inc. truly encompasses “A Growing Family Tradition”. 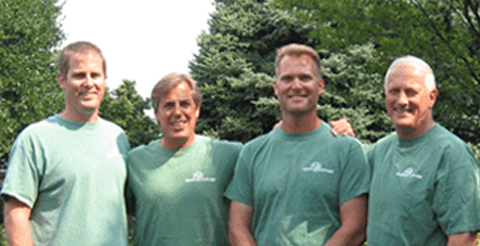 Jim’s sons Jimmy, Charlie, and Matt work alongside their father to uphold the standards for landscaping excellence fostered over the years in both the landscaping and flower center traditions. With Jimmy as the General Manager, Charlie as the Production Manager, and Matt as the operations and sales manager, Johnson’s Landscaping Service, Inc. is poised to continue serving the customers of the Washington, D.C. area into the next generation. Johnson’s Landscaping Service, Inc. looks forward to helping you create a custom landscape to fulfill your wants and needs. Whether you need screening from the neighbors, a patio for entertaining family or friends, or a new home entry with some “curb appeal,” Johnson’s Landscaping has the experience and expertise to complete your job efficiently and with unparalleled results. Our landscape designers and installation crews are creative, proficient, and committed to the complete satisfaction of their clients. We encourage you to contact us for a consultation with one of our landscape designers.